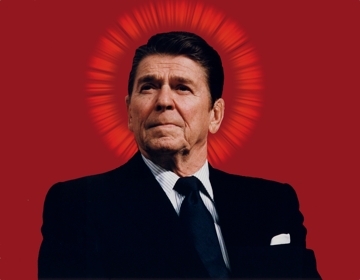 One of the most popular figures of conservatism is Ronald Reagan. If one was to believe everything on the Internet about him. One would think that he was champion of all that was good: protector of the second amendment, believed in fiscal responsibility, did not negotiate with terrorists, and many other claims. He is what is considered to be the model conservative. Unfortunately, a few of these claims about Reagan are not true and many are misinformation. For example, many believe that he strongly pro-life. To make this claim, one has to ignore his tenure as governor of California. As governor, he signed a bill that legalized abortions. Another example is the claims that he was a defender of the second amendment despite being gunned down in an assassination attempt. This claim ignores the fact that he was the president who signed the law that bans fully automatic firearms. Plus, he was a supporter of the assault weapon ban. While it is true that Reagan was a solid conservative, the rhetoric and history surrounding the man are not always consistent. Contrary to what conservatives want to believe, he was not as far to the right as they believe to him to be. Heck, in today’s political climate, it would be debatable that he would even get a nomination.